A Delta flight from Detroit to Amsterdam had to be diverted to Manchester, England, for two hours Saturday into Sunday after smoke and an unknown smell developed in the passenger cabin. Add Samsung as an interest to stay up to date on the latest Samsung news, video, and analysis from ABC News. A Delta official and a senior U.S. official told ABC News that the emergency on Flight 138 was caused by a Samsung tablet. The Delta official explained that the tablet fell inside a seat and became jammed after the seat either reclined or was returned to its upright position. Underneath the seat cover, the tablet and foam then started smoking, and passengers could smell a strange odor. The flight was diverted to Manchester, where the seat was replaced. After two hours on the ground, the flight was airborne, en route to Amsterdam, where it landed at 5:11 Eastern time on Sunday. The device that caused the emergency was apparently not the Samsung phone that is subject to recall because of a faulty battery. 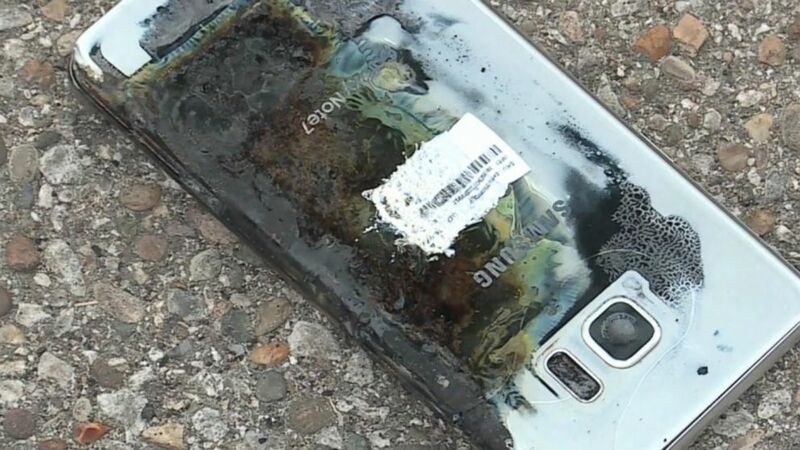 In a statement on Monday, Samsung said, "It appears that external factors contributed to this incident. This is not related to the Galaxy Note7. We have reached out to Delta to investigate as the cause is yet to be determined." Samsung did not immediately respond to ABC News’ request today for additional comment.